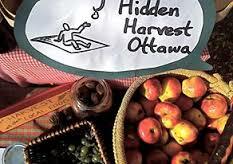 Tree Fest Ottawa has organized a neighbourhood edible tree walk and workshop with Hidden Harvest Ottawa. The local walkabout will be held on Wednesday October 7, from 12-1:30pm at Civic Gardens Lansdowne Park. 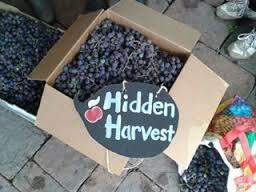 Hidden Harvest Ottawa is a local organization whose goal is to provide neighbourhood food to local residents without having it go to waste. They encourage Ottawa residents to plant fruit and nut bearing trees which can feed the community. 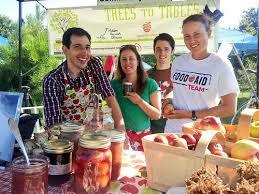 They offer high quality food bearing trees for sale to Ottawa residents interested in planting on their property. On Wednesday October 7, from 12-1:30 pm join other local environmental foodies on a short walk around Lansdowne Park and the surrounding neighbourhood. On the walkabout tour learn about local fruits and nuts, how to identify the trees, and lastly how to make sure these foods reach the tables of our community and do not go to waste. For the walking tour, please meet at the Civic Gardens Lansdowne Park near the Photosynthesis Photography Exhibit. The walk will take place if weather permitting. ← Tree Fest Event: Film Night with Speaker Diana Beresford-Kroeger, October 6, 2015 from 6:30-9:30pm.